Depending on one’s assets isn’t a big substitute than a regular income but it can really help build back the confidence one can lose in a difficult financial turmoil. Personal needs and emergencies can be often more bothering than actual needs; some of the personal emergencies are Children's Educations, buying a property and missing that out for some emergency help, medical Emergencies, Debt Obligations, Paying someone for other causes. And to meet those emergencies, selling a little piece of one’s valuable assets can be helpful. 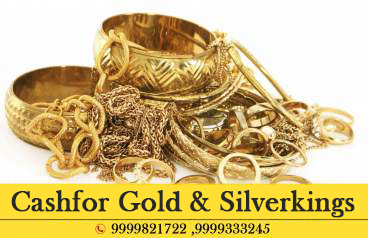 So do not wait any longer, we welcome you to us at cash for gold, because selling gold in an open market might lose you the trust, therefore, build up your home with us. 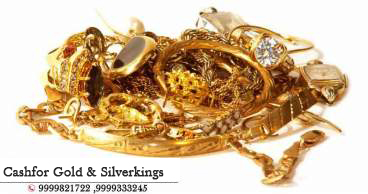 We are in the market from offering 2 decades with our best and experienced jewelry buyers all over Northern India. With a little expense of your time, you will be able to find the right place to convert your expensive jewelry into cash instantly. To be in the profit, know the best jewelry buyer who would give you the current gold price. Because most of the Non-Banking Finance Companies or buyers like Pawnbrokers charge 16% to 36% for giving you the price. In case of loans, gold loans never pay the full amount and also adds up a lot of interest. 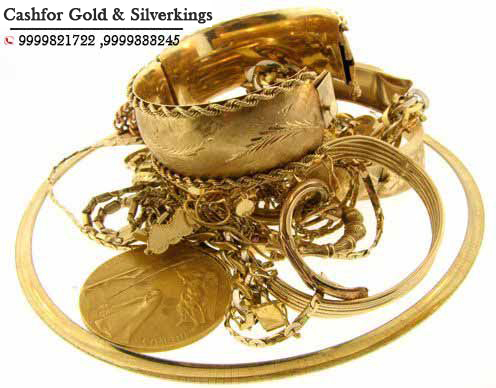 Cash for Gold’s main aim is to provide a solution to each and every customer Our experts offer Incremental Value as Compared to other jewelry buyers. Every day we try to gather encouragement from our service to our valuable customers with a better experience. We are one of the most leading jewelry buyers in India and offer a service to save more with the existing value with respect to the current market value. Besides that, we hold an opportunity to recycle the Usable or Unusable Gold. Silver also known as beautiful white metal and younger brother of gold is really popular metal in India. We all love beautiful things; we easily get attracted toward beautiful things. One of the most beautiful and expensive thing we can see in market and jewellery trend is diamond. I had some broken jewelry pieces and I was thinking of selling them from long but never had the guts to come up with that. Once My friend recommended pawn gold shop I visited them immediately which is near to me. The staffs are very patient, friendly and experienced and listened to me very nicely, This was my first time. The staffs tested the pieces infront of me and the best part is I was given a deal in not more than 10 minutes. I coudot belive how much they paid me and what I was expecting. Very quick and positive service in 15 minutes. This was my first time with pawn gold shop, but it was the best experience as I did not have to wait for instant money in return. Moreover, I got more than I expected. The jewelry buyers are very experienced and Now I realize that it was a better investment and I can sell more often with them. Currently, I am looking for their online option and I am grateful to them as they mentioned they also offer home pick up service. Thank you for your efficient service. I was wondering for an appraisal but then the pawn gold shop mentions that I do not need any appraisal nor any appointment. So I enjoyed an immediate sell as so far I have received the best price. I also visited other jewelers but nobody has ever checked my jewelry but here I received more than I was assuming. The best offer I got in not more than some minutes. I realized I received a very fair price for liquid gold. They are very thorough about their services and check every item very precisely.